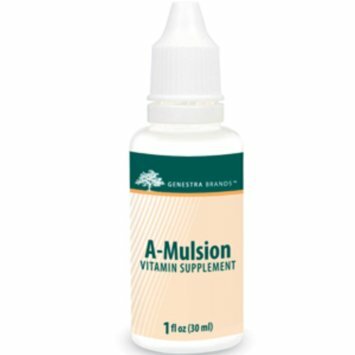 A-Mulsion is a natural lemon-flavoured, naturally emulsified Vitamin A. It is emulsified using the unique WisDOM-3 process, allowing for potential maximum absorption and utilization. Non-medicinal Ingredients: Soybean oil, gelatin, glycerin, purified water. Guaranteed to contain no added wheat, yeast, gluten, sodium, artificial colouring or flavouring, dairy or animal products. Ideal for vegans. Take one drop daily, or as recommended by your healthcare practitioner. For oral use only. Vitamin A is a nutrient in the body that can be found in two many forms. When it is being stored for later use, vitamin A is found in a form called retinol. The active form of vitamin A is called retinal, and is used in the retina (the back of our eye) for both low light, and colour vision. These two forms are easily converted back and forth between them as the body requires. Oxidized vitamin A is called retinoic acid, and cannot be converted back to the other forms in the body. Interestingly, although humans cannot synthesize vitamin A directly, the liver can convert certain types of carotenoids, such as beta-carotene, into retinol as required. Vitamin A is a fat-soluble vitamin, meaning that is transported into the body by tagging along with a fat molecule. The major body storage area is the liver, where several month’s supply is held. Vitamin A has many functions in the body. It prevents night blindness by helping the recycling of pigments in the eye’s rod cells. 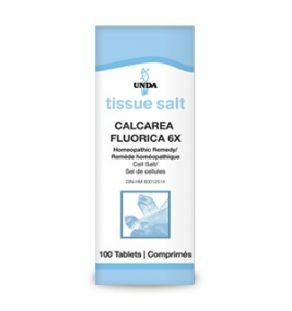 It heals all mucus membranes and the skin, making it helpful for acne, wrinkles, cervical dysplasia and gastrointestinal ulcers. Vitamin A is found naturally in two forms, retinol and provitamin A. Retinol is from animal sources. Provitamin A, or carotene is found in animal and plant foods. For supplementation it is measured in international units or IU. 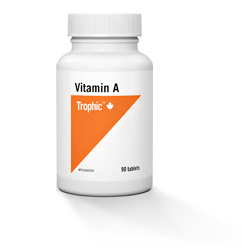 Supplemental vitamin A is available as a derivative of fish oil (fat soluble) or as a water-soluble form. The water-soluble form is recommended for those who cannot tolerate oil, such as acne sufferers. A form of vitamin A, called emulsified, is less toxic to the liver and easier to absorb. The eye is a small sphere with a diameter of about 1 inch. Only one sixth of the eye is visible, the rest is protected in the orbital socket. There are many accessory structures of the eye including the eyebrows, eyelids, conjunctiva, lacrimal apparatus and eye muscles. Only a small part of the eye is dedicated to photoreception. This area is on the posterior wall on the inside the eyeball and is called the retina. It contains rods, for dim light and peripheral vision, and comes, for bright light and colour vision. The lens is situated at the front of the eyeball and its job is to focus light on the retina. Glasses are used to help focus light through the lens when the accommodation of the lens is inadequate or overcompensating. As we age, the muscles that move the lens decrease functioning making the use of glasses or contacts more common among older individuals. The two main causes of degenerative eye conditions: free radical damage and decreased blood flow to the eye. 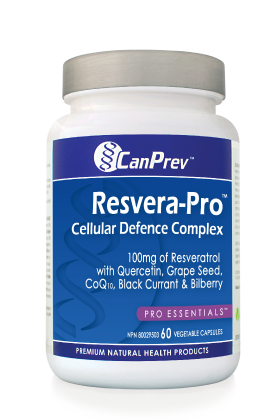 Free radicals are unstable molecules that in their bid to become more stable must bump into healthy cells and cause damage. This can cause cell death, alterations in genetic material and autoimmune reactions to damaged cells. Food, water and ultraviolet radiation from the sun are the major contributors of free radicals that build up in the eye. The eyes reflect the overall health of the body. The vessels on the back of the eyeball are very small and fragile. Changes in them are often the first sign of cardiovascular diseases such as hypertension and atherosclerosis. These conditions lead to decreased blood flow to the retina. Lack of oxygen and an accumulation of waste products eventually compromises vision. Poor diet, environmental toxins, medications and stress all decrease the body’s ability to neutralize free radicals and maintain healthy vessels.